OWAA’s most prestigious recognition of a member for devoted past service to the organization over a period of continuous years. Peter Schroeder could be called “Mr. 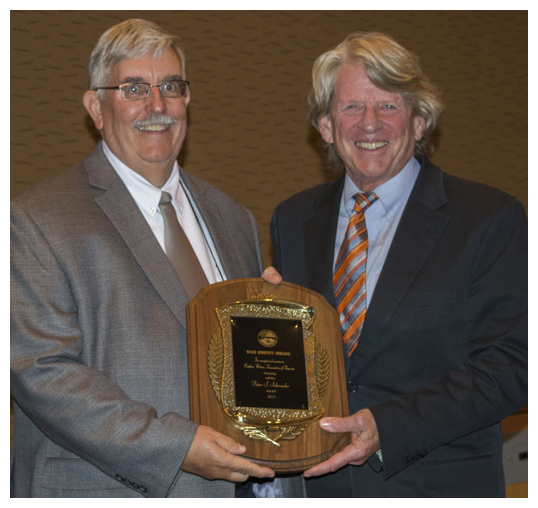 OWAA Money,” for his efforts in protecting the organization and its members’ money, said Tom Wharton, last year’s recipient of the award. “His work as OWAA treasurer and chair of the endowment committee helped modernize the organization’s finances,” Wharton said. Schroeder has also generously contributed three $5,000 challenge gifts, which helped bring in almost an additional $15,000 to the organization. Schroeder, an OWAA member since 1994, has served three terms on the board of directors and was voted outstanding board member twice. For outstanding effort in upholding the OWAA creed and continued excellence in craft. Bruce Cochran, the winner of OWAA’s Excellence in Craft Award, communicates his love of the outdoors through humor. The writer and cartoonist captures the levity of the outdoors found in duck blinds and trout streams. His ability to capture the funny moments we all encounter outside is a lost art in outdoor communication, said Brent Frazee, a past recipient of the award. Cochran started his career as an illustrator for Hallmark Cards before melding his love of drawing cartoons with his passion for the outdoors. His cartoons have appeared in a multitude of magazines including Sports Afield, Field & Stream, Ladies’ Home Journal and others. Cochran has also written articles for magazines including Ducks Unlimited, American Waterfowler, Pheasants Forever Journal and Gun and Dog. He’s also published nine cartoon books. Cochran has won 14 EIC awards for his writing, cartoons and illustrations. He served on the OWAA board for a three-year term and chaired the Excellence in Craft committee. Rich Landers has been actively writing about conservation issues since his graduation from University of Montana in 1975 and is now considered a giant among outdoor communicators in the Pacific Northwest, said Pat Wray, a past award recipient. 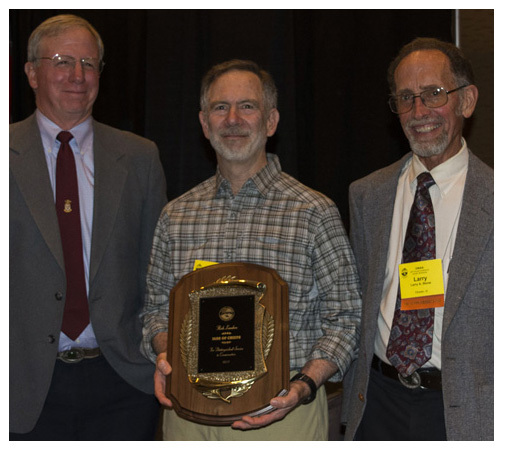 His well-researched, take-no-prisoners journalistic approach to important issues has earned him awards as the Conservation Writer of the Year by both the Idaho Conservation League and the Washington Environmental Council. Landers is currently the outdoor editor at the Spokesman-Review. He’s been an OWAA member since 1977. Awarded for exemplifying warmth and radiance, goodwill, helpfulness, generosity and kindness to others. Members and their spouses are eligible for this award. 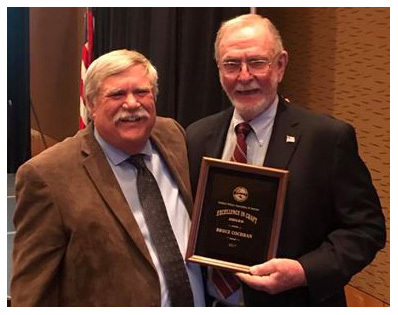 “I doubt that any member of OWAA attending a conference when this year’s Jackie Pfeiffer Memorial Award recipient was present, was not greeted with his friendly smile, firm handshake, warm words of welcome and much more,” said Thayne Smith, a past recipient of the award. 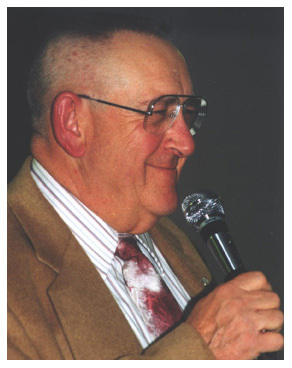 Bill Hilts Sr., an OWAA past president and member since 1961, has attended numerous conferences, including 40 in succession. Voted on and presented by OWAA’s board of directors. 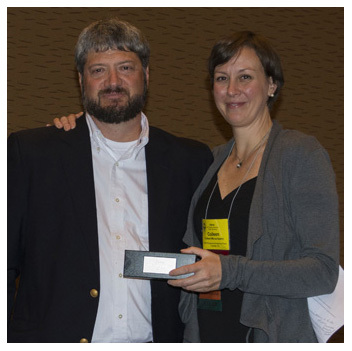 For the third time in four years, OWAA’s board of directors recognized Colleen Miniuk-Sperry as Outstanding Board Member of the Year. Miniuk-Sperry, OWAA’s secretary, joined OWAA in 2010. OWAA hired her as interim executive director in January. She stayed on through June 26 to help Brandon Shuler transition into the job. All the while she continued her duties as secretary, as well as chair of the photo section and the membership recruitment committees and co-chair of the member services committee. Recognizes excellence, commitment and service and going beyond the call of duty while serving on an OWAA committee. Tim Christie is the first person to receive OWAA’s newest award, which recognizes members who volunteer their time to the organization. Christie stepped up to coordinate this year’s Excellence in Craft Award, volunteering to co-chair the subcommittee to make this important award happen, said Lisa Ballard, the awards committee chair. An OWAA member for more than 33 years, Christie is an award-winning freelance photographer and writer, focused on large game, bird life and related outdoor activities. 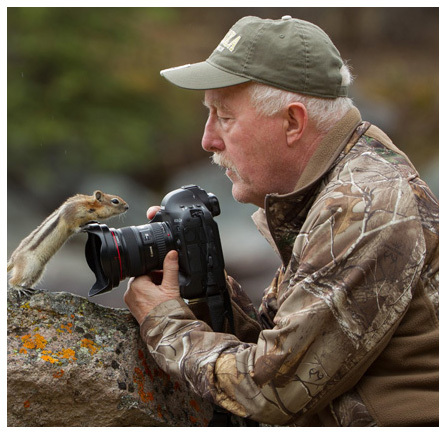 His photographs have graced more than 500 magazine covers and been featured in more than 100 different publications, numerous calendars, corporate advertising campaigns, websites and product displays.